The European single currency has jumped to its highest level against the US dollar since January 2000. Concern about the US economy has weakened demand for the dollar, pushing it down against the euro, with threats of a war against Iraq adding to the uncertainty. At 0957 GMT one euro bought $1.0257, up from $1.0183 late on Thursday, breaking through its July high of $1.0215. "The euro's rise can be associated with concerns about geopolitical risks, and concerns about the US recovery, and doubts about strong dollar policy," said Brian Martin, chief currency economist at Barclays Capital. The euro also hit a five-month high against the pound for a second day, reaching 64.65 pence, and a nine-month peak of 1.4794 Swiss francs. The US economy has shown little clear evidence that it is recovering. 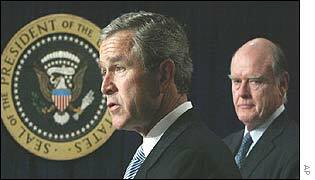 Last week US Treasury Secretary Paul O'Neill and White House economic adviser Lawrence Lindsey were sacked by President Bush. Mr O'Neill's successor, John Snow, has not indicated his position on the "strong dollar" policy. The dollar also slipped to a two-week low of 122.03 yen, down half a percent on the day. The euro was launched as a currency on 1 January 1999, when the exchange rates of the 12 member countries were fixed, and it initially rose to $1.18 before declining to $0.8255 in October 2000. Notes and coins went into circulation in January 2002.